Bridget Lester, an Educational Leadership Program doctoral student in the College of Education’s Department of Educational Foundations, Leadership and Technology, recently learned that she will receive the prestigious Presidential Award for Excellence in Mathematics and Science Teaching. The prize is awarded to outstanding K-12 science and mathematics teachers from across the country. The winners are selected by a panel of distinguished scientists, mathematicians, and educators following an initial selection process at the state level. The educators will receive their awards at a ceremony in Washington, D.C. on September 8. 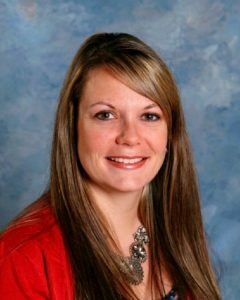 Bridget serves as a gifted resource teacher and the STEM Lab teacher at Fort Rucker Primary School while she pursues her doctoral studies. Winners of this Presidential honor receive a $10,000 award from the National Science Foundation to be used at their discretion. The need for STEM educators is widely-known, and has been a key initiative in President Obama’s Department of Education. In 2011, the President set an ambitious goal to put 100,000 additional excellent STEM teachers in America’s classrooms by 2021. Thanks to the work of more than 280 organizations, 30,000 new STEM teachers have already been trained, and resources are in place to train an additional 70,000 STEM teachers by 2021.